Car chases, murder intrigue, and epic adventures are well and good, but sometimes it's nice to sit back and enjoy an old fashioned internal conflict: A man at odds with the modern world (Ulysses), a house-wife smoldering beneath a loveless marriage (Little Children), or maybe just a group of ex-pats wandering listlessly from one European city to the next, searching for meaning amidst their memories of war (The Sun Also Rises). If you've written a literary novel, you'll need an agent who's familiar with the terrain to help you on your path to publication. WEbook's AgentInbox has 38 literary agents currently seeking literary fiction. That means they have established relationships with literary editors (think Knopf or Grove Atlantic), and they're looking for more writing to pitch to them. Here are some details about a few of our literary fiction agents, but be sure to check out our full list of agents actively seeking submissions. Read more of this interview at DigitalBook world, or see Scott Waxman's WEbook profile. Abigail Koons, The Park Literary Agency: Abigail came to the publishing industry after working for a large Swedish company specializing in educational travel. She's is an agent and the director or foreign rights TPLA. Here's Abigail's thoughts on what can be left out of a query, from an interview at Guide to Literary Agents. "If your query letter is more than one page long, there are things in there that are superfluous. The most common unnecessary addition is a description of the writer’s family/personal life if the book is not a memoir. Some personal background is good, but I would much prefer to know about the amazing novel you wrote. The personal information can come later." See Abigail's full WEbook profile. "The query letters I am drawn to the most are the ones that get right to the point and are written with the author’s unique voice. Be original, engaging and informative. Tell me about your book. I don’t need statistics, marketing ideas, generic letters, and overly formal introductions." See Victoria's full WEbook profile. 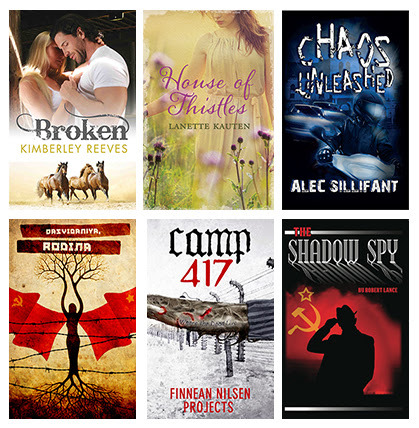 Looking for literary agents representing Romance, Young Adult Fiction and much more? Check out our previous posts about AgentInbox agents! You can also sign up for WEbook and get more feedback on your work from our writing community, or try out PageToFame.